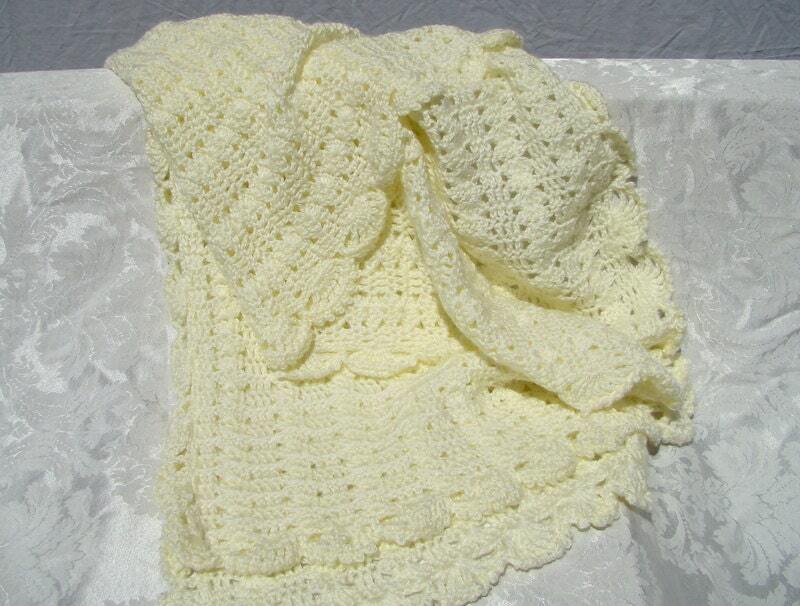 A beautiful and versatile custom designed shawl that can be worn in many different ways. 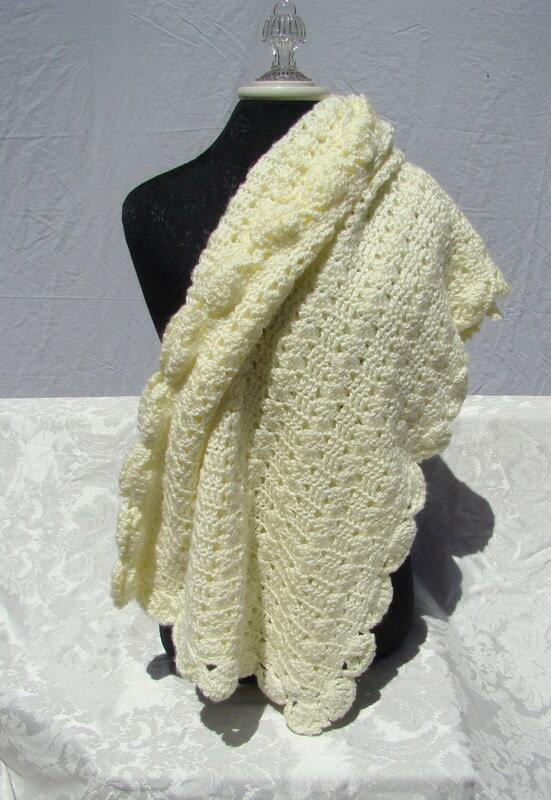 This wrap is the perfect shawl for your romantic wedding, bridesmaids or red carpet event. 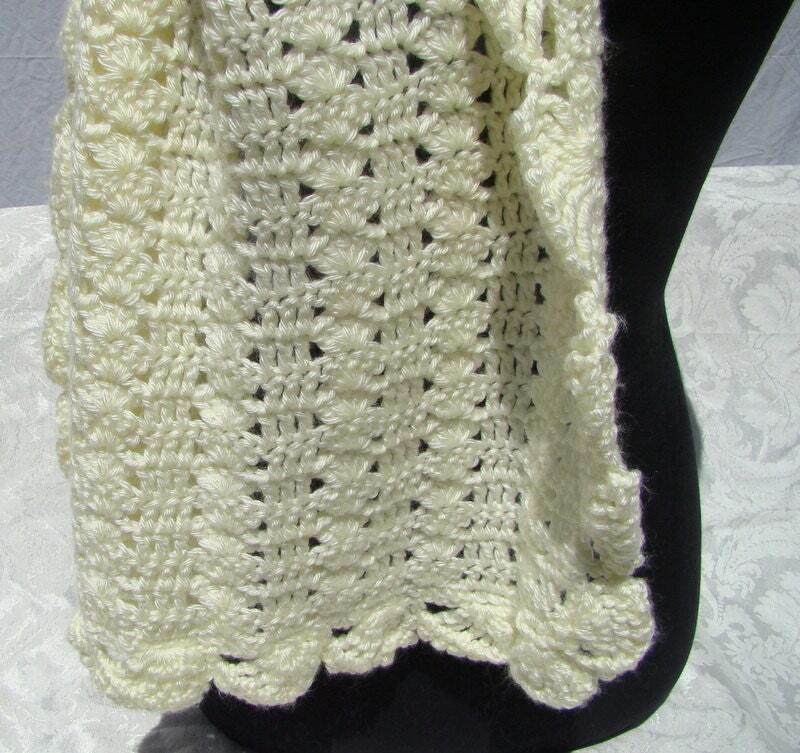 Crocheted in a lovely vanilla cream yarn with a fan pattern with scalloped edges in a soft acrylic yarn, this will quickly become your favorite coverup! 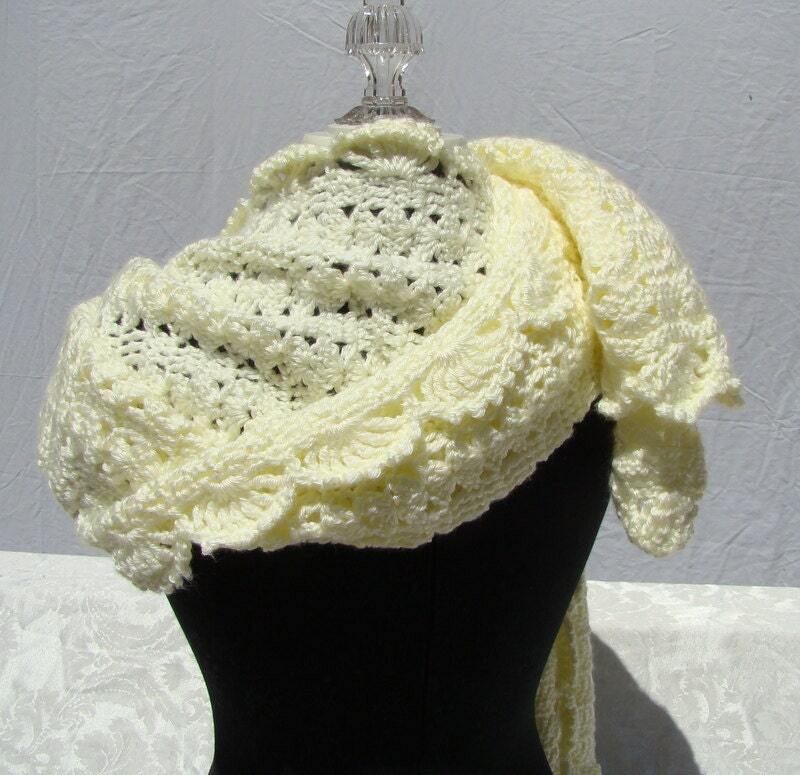 This gorgeous wrap would look dramatic with a black dress, or really smart with ivory pants and red silk blouse, or even a navy blue pantsuit! Measuring 20" x 75", you'll never want to be without it! 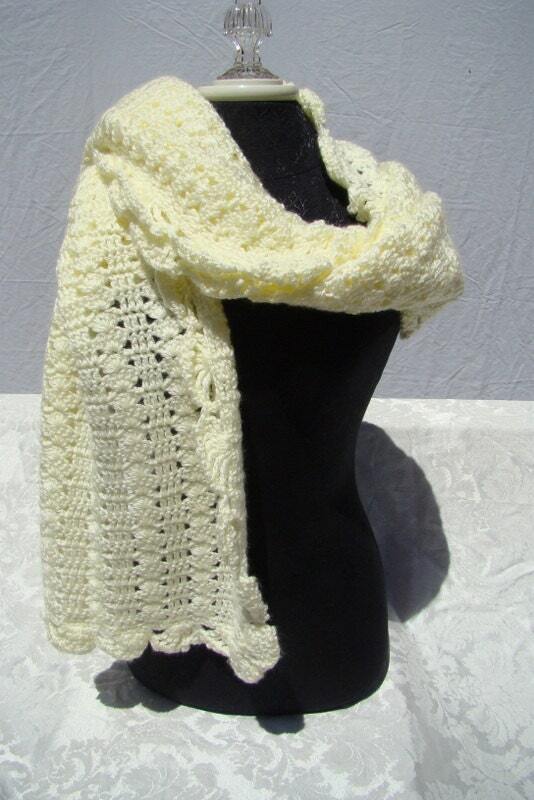 Are you planning a wedding and looking for one-of-a-kind accessories for your bridesmaids? Ask for a custom quote!